Join internationally published art and travel writer Irene Shaland, as she invites you to “grow into India.” Discover the most refined beauty and the deepest spirituality of this country. 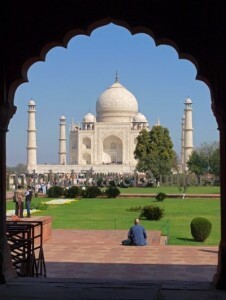 Learn about India’s art, architecture, and religions. Hear fascinating stories about the synagogue near the tomb of a Persian emperor, Jewish atheist’s shrine in a mosque, India’s role in the Holocaust, and Muslim youths defending the synagogue of Mumbai. Irene will share little known stories of the oldest continuously living Jewish community in the world, its myths of origin, and sense of identity. This entry was posted in Asia, General, Jewish Story, Lecture and tagged Asia, history, history of the holocaust, India, jewish, Jewish life. Bookmark the permalink.